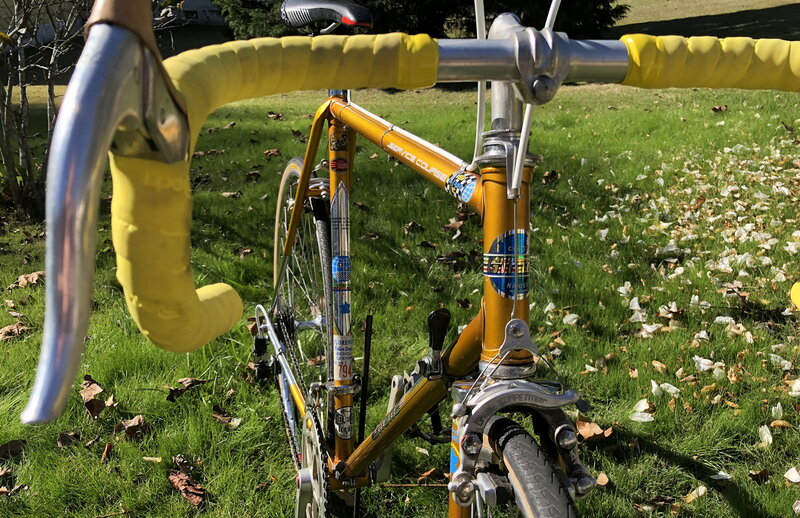 Here's a gold Gitane TdF I bought off Craigslist in October. In high school (1973) I rode my first one all over Eastern North Carolina while my friends were riding Schwinns! Talk about follow the leader. 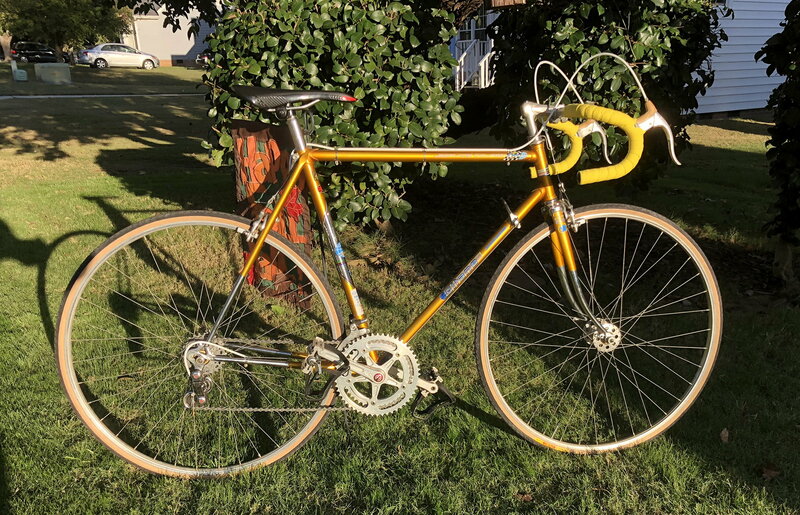 So now, 45 years older and 50 lbs heavier, after looking for another TdF on Craigslist for 3 years (sold my first one in college, and regretted it ever since), I'm finally losing weight, getting over saddle sores and remembering why I love this model so much. 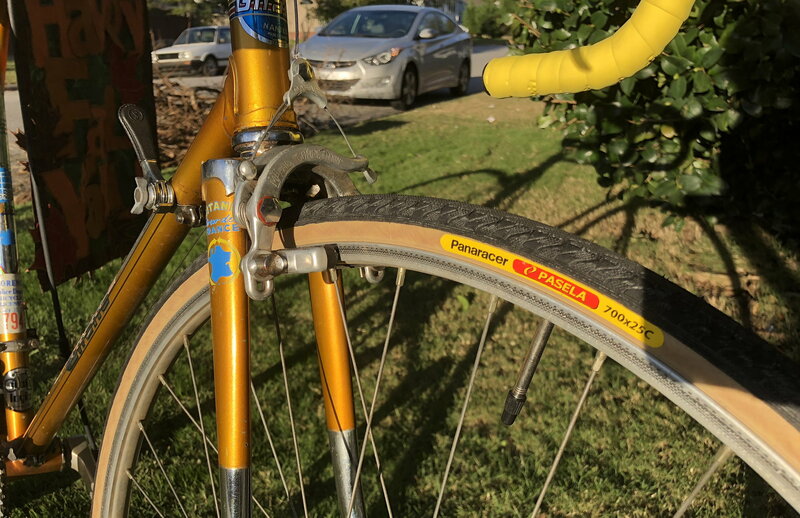 Didn't know they produced gold ones though until I spotted this one...1973-4 model.